Matt White Foam is a rigid, hard wearing PVC that is compressed and very strong. This board is white in colour, with a matt finish. PLEASE NOTE this is unbranded / generic foam and not the branded foamex. 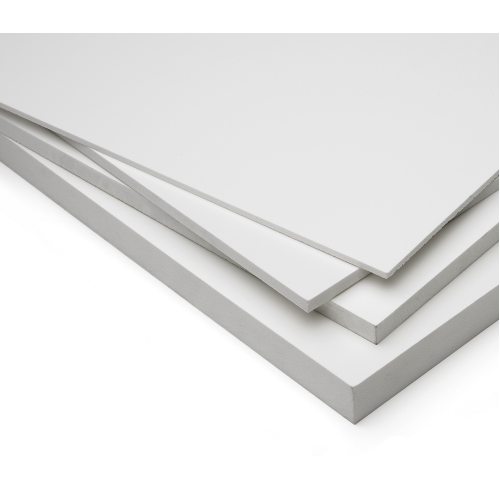 Also known as Foamex, Foamalite, foam PVC and foam board, this material has an abundance of useful attributes that have made it renowned worldwide; it is used in even the most inhospitable climates. FREE cutting service*: Just tell us how you want it cut when you checkout in the special instructions box. Minimum width of cut is 75mm. Saw width is 3mm. Cut sheet size has a Tolerance of +/-1mm.